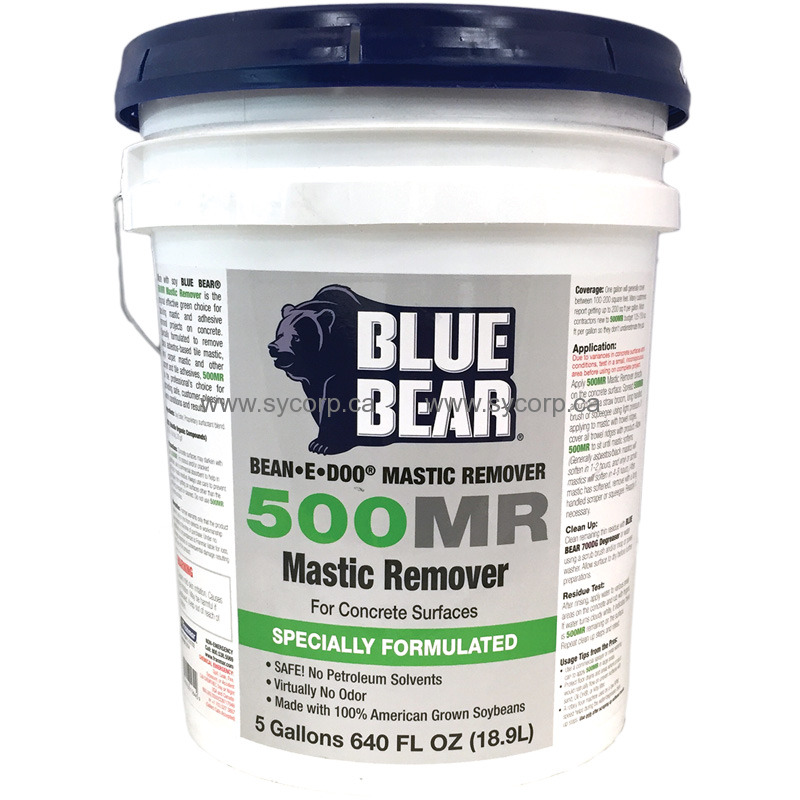 Apply 500MR Mastic Remover directly on the concrete surface. Spread 500MR around with a straw broom, long handled brush or squeegee using light pressure. If applying to mastic with trowel ridges, cover all trowel ridges with product. Allow 500MR to sit until mastic softens. (Generally asbestos/black mastics will soften in 1-2 hours, and vinyl or acrylic mastics will soften in 4-8 hours.) After mastic has softened, remove with a long handled scraper or squeegee. Reapply if necessary.